As the saying goes, “To err is human”. Human cannot be perfect. If he were perfect, he’d be God. But we can definitely try to move towards it. We see around us, people who have achieved their goal, or some trying best to achieve theirs. We ourselves too give our best and when it we see results in our favor, we are sure its our hard work that have paid off, isn’t it? But have you seen people trying hard to achieve their goals, be it big or small and still fail to achieve? On the contrary, have you seen people get everything easily without trying hard? Why’s the variation? Why do one suffer while other is plain lucky to get anything so easily? What’s the mystery behind this? Will we ever know what’s in the closed book? The answer to this is Karma, our deeds, good or bad. Let me put it this way. There was a rich merchant. He was living with his wife and son. He had everything that he wanted in his life and was living life king size. He was very happy, until his son dies. He still has all the luxury but cannot relish that because he’s can’t get over the pain of his son’s death. The point is that, he is happy and relishes until he has his good deeds are in the books of fate. And once it’s over he has to suffer. When something bad happens to us, we wonder why this happens this to us? We now know the answer. If we try to avoid bad and work for good, we might spare ourselves from the suffering in future. I don’t know how many of us has read Gita, the holy book, but those who have will agree that it is the ultimate solution to the quest of life. "there was a rich merchant....suffer"
So you have read Gita. Very less people have read it. Sometimes it makes life easier to live, when we know whats the ultimate truth. You are right, the ultimate goal of a being should be moksha. And thats by either owing everything to God i.e our every action, which is difficult for simple urban people, and other praying wholeheartidly. And praying is possible for everyone, so thats a better approach, but that should come from the bottom of our heart. Too much of Gyan ? Anyways, I love to read Gita! Its full of wisdom. What do you say ? 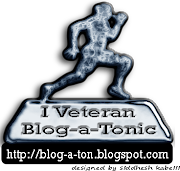 Btw,i've added you on my blogroll ;hope you don't mind .Cheers ! Hmm...Hinduism cannot be compared with other religion. Starting from the basics, the reincarnation. Do read the remaining chapters. You will like it. Yea, we have to spread happiness! you said it right. keep progressing and be happy ! like you both blogspots ! Thanks Vamsi for visiting and commenting. I don't know but I never did anything until now for Karma. Is that bad then? I just did everything because it felt right, it was honest, I shouldn't hurt someone and I couldn't be unfair. That was my whole funda until now I never stopped to think whether that will help me in the future. I have this whole justice and fairness - sometimes get carried away in that & start unnecessarily telling others things.